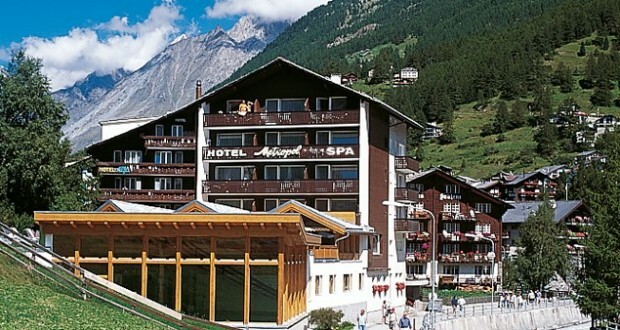 With fantastic views of the Matterhorn, the charming Hotel Metropol & Spa is in the center of Zermatt, offering cozy rooms with free wireless internet and a spa center. After a long day outdoors you can relax at the health center while getting some massages and diverse treatments. You can also unwind at the swimming pool. The Metropol & Spa serves a rich buffet breakfast with an organic corner as well as delicious dinners at the restaurant with mountain views. Guests can take advantage of the free hotel transportation service from the Zermatt Train Station and the taxi stop during the day until 6 pm.